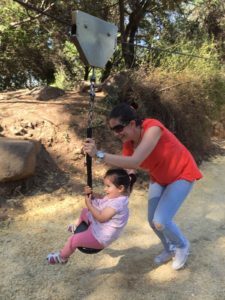 If you are coming to Chile as an Au-Pair, your host family will be responsible for you. This means that they will take you in as a new member of the family and will provide you with accommodation and everything you need. You will live in your own furnished room and will join the family for meals. If you have food allergies or you have specific dietary requirements, let us know beforehand, so we can find a family that can fit your needs. As the new family member, you will receive your own house keys; you will have free access to the Internet and privacy to do your personal activities. Your host family can also provide you with medical help, in case you need it. While you live with your host family, you will have to follow the house rules, just like any other family member. You are responsible for keeping your room, bathroom, and common areas clean and tidy. It will certainly take some time for you to feel fully settled in. If things are not going as you expected or you do not feel comfortable, let your host family know. They might be able to help you solve the problem and improve your Au-Pair experience. Ultimately, you can always reach out to us if you don’t feel comfortable communicating these issues to your host family. Chile Inside offers its participants a free intercultural orientation. You will be invited to this activity before your arrival to Chile. We strongly recommend you to participate in this presentation, as we will provide you with important information about Chile, as well as practical tips on how to deal with difficult situations while living abroad. Your contact person will be there for you in case of further questions or concerns.